We were invited on the Fox 8 News morning show by Todd Meany and we were interviewed by Mark Zinni. We talk about what Video Game Comics are and our goals to become a development studio of 25 to 50 people within 5 to 7 years. Thanks for having us on Fox 8! 19 Action News came to interview J-Lynn Entertainment and ask about our patent pending Video Game Comics. We would like to thank Danielle, Shelly, and the rest of the team doing the story on us, and doing a great job at explaining what Video Game Comics are! This was our original video for our video game comics project we started late last year. Video Game Comics are our patent pending video game comic book hybrid. Read a digital comic, play a video game within that comic, alter the story based on your performance. You get multiple outcomes per issue. What happens in one issue can change the story of the next issue, so you not only get different outcomes per issue, you can get different outcomes per mini-series. This is our interview with the 16 Bit White Guys Crew. Our interview is towards the end of the video around minute 4:24. On 1Life2Play LIVE, we're joined by Tamar Medina of J-LYNN Entertainment as he brings us details about their current Kickstarter campaign for Video Game Comics: Adventures of Shadow Cat, a new game project...and possible platform? Tamar also tags along for the rest of the show and starts us off with Around the Room. Click on the image to open up a link to an example Video Game Comic website. 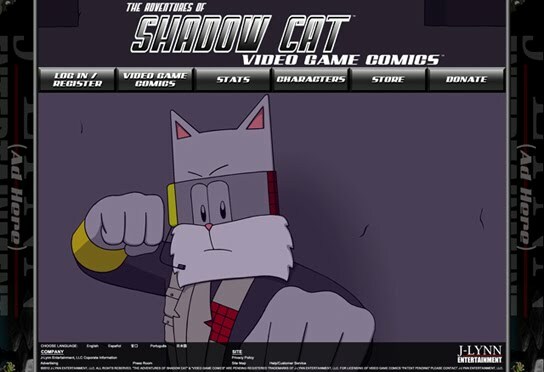 This website has animated transitions and is themed with our "The Adventures of Shadow Cat" intellectual property aimed towards kids. Other Video Game Comic sites down of our own properties or for other publishers may have similar animated transitions. 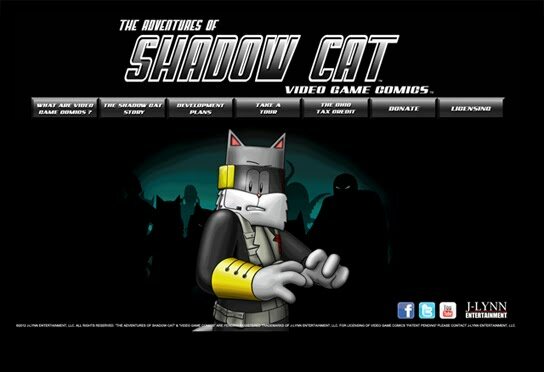 Click on the image to open up a link to our "The Adventures of Shadow Cat" promotional site. Go here to learn more about the story and other related development plans.